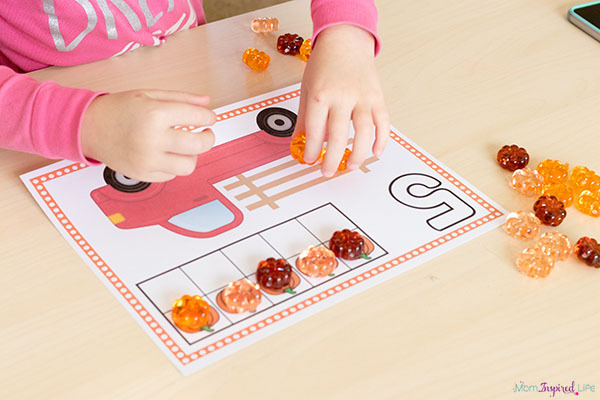 These pumpkin counting mats are a super cute, hands-on way for preschoolers and kindergarten students to learn to count and develop number sense this fall. 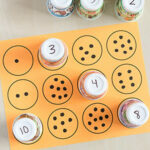 Counting mats are one of my favorite ways to introduce numbers, counting and number sense to my kids. I even use them to teach my older son addition and subtraction as well as how to write numbers. 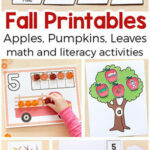 Check out these apple counting mats and these fall tree counting mats too! 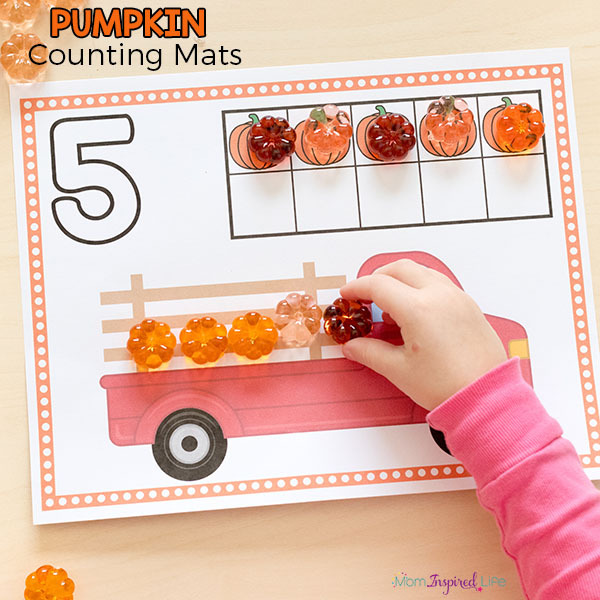 These pumpkin counting mats are probably my favorite counting mats I have ever made. I just love the red pickup truck! And my kids love adding the pumpkins to the truck. 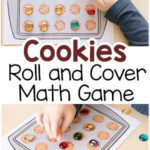 They would be a great addition to math centers in the classroom or for use at home with your kids. Slip them into write and wipe pockets and use dry-erase markers on them or even play dough. 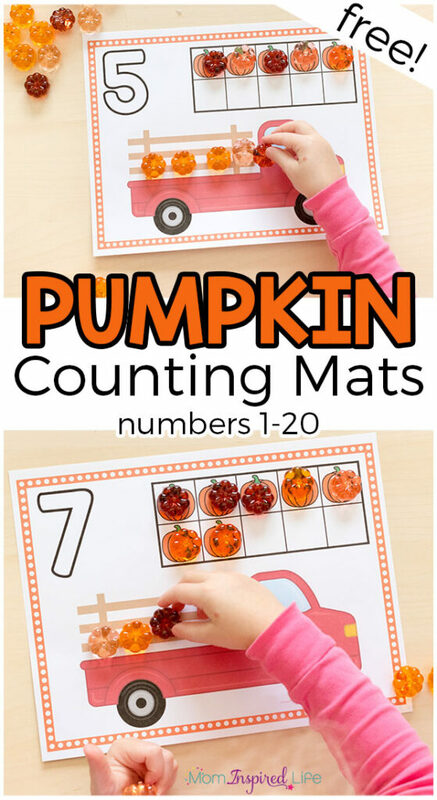 There are so many ways to use these simple pumpkin counting mats! Set up is super simple. Just print, slip into write and wipe pockets (if you want) and put out some pumpkin manipulatives. 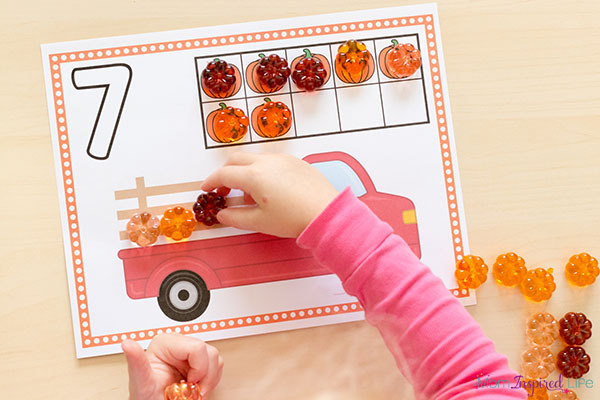 For children at the beginning stages of counting, I just have them place a pumpkin on top of each pumpkin in the ten-frame. Then I have them count out the same number of pumpkins and place them in the truck. We usually just use the lowest numbers until they are ready to move on to higher numbers. With more advanced children, I have them work on higher numbers for review and reinforcement. I also like to slip them into write and wipe pockets so that they can practice tracing the number and even work on fine motor skills by drawing the pumpkins in the truck instead. Using play dough on the mats is also a fabulous way to develop fine motor skills. 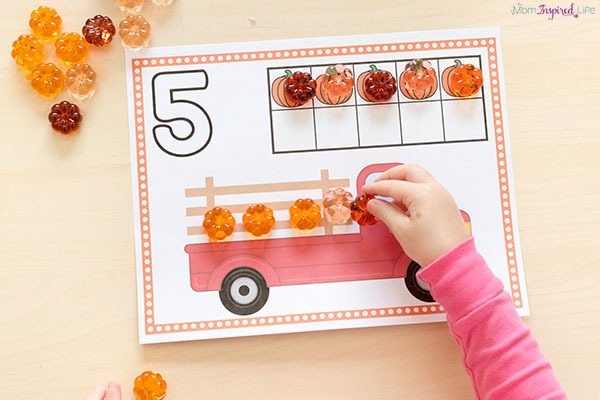 Have the kids use orange play dough to make a bunch of balls (pumpkins) and then use those for counting. 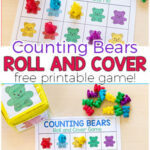 There are so many great ways to use counting mats! 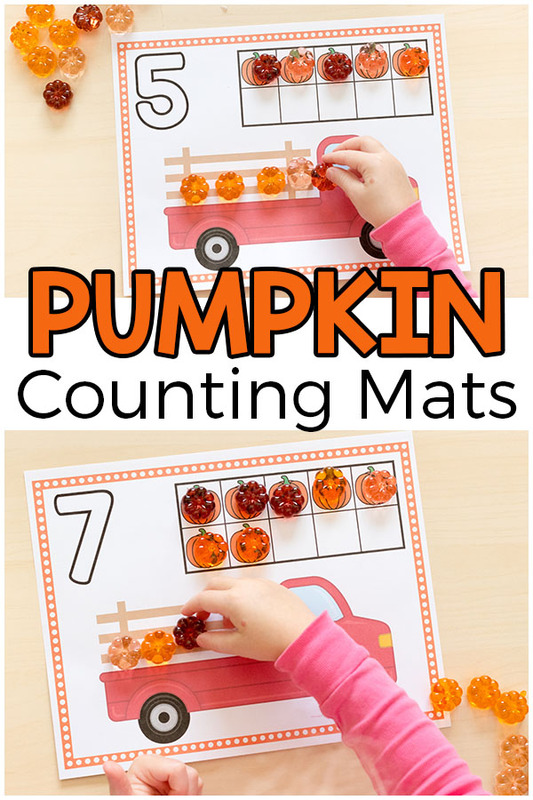 If you have any other ideas for using these pumpkin counting mats, please share in the comments! I always love hearing how others use my printables.